If you’re planning to add some much needed space to your home - whether in the form of a dining room, playroom or home office, for example - a conservatory is often the perfect choice. So once you’ve made the decision to build a conservatory, what’s next? Well, your choice of building material is a vitally important consideration. 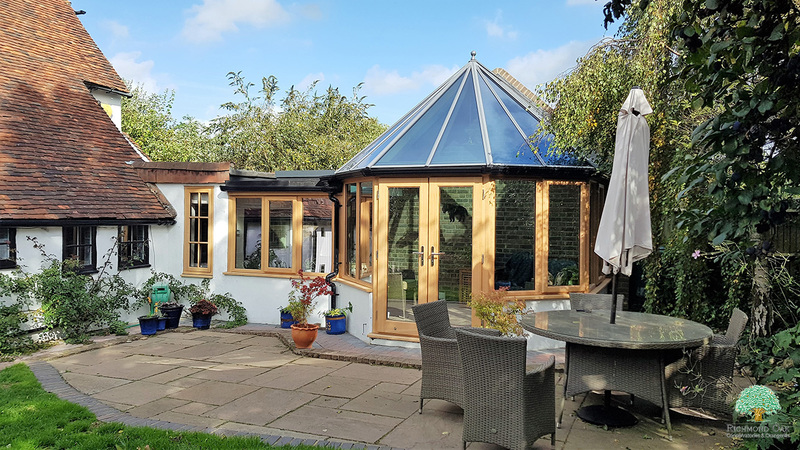 Whilst products such as uPVC may initially seem to be the simplest and cheapest option, there are huge benefits to opting for an oak conservatory. Below are just five of these reasons - detailing why timber is often the best and most effective choice. As consumers become more ecologically conscious, an important consideration when choosing a building material is the ultimate effect it will have on the environment. 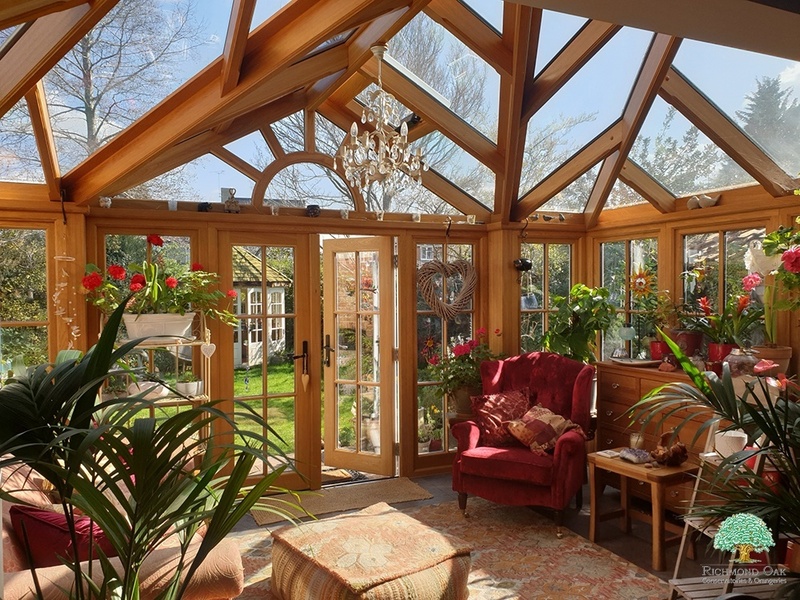 Hardwood conservatories are much better for the environment than their uPVC counterparts. In fact, uPVC has been proven to be harmful to the environment, as its production emits dangerous carbon emissions and, once the material is discarded, it is not biodegradable. Timber, on the other hand, has huge carbon benefits as trees spend their lifetime absorbing carbon dioxide and producing oxygen. In addition, wood needs little more than sunlight and rainfall to grow and when it is prepared for use as a building material does not use large amounts of fossil fuels or require intensive chemical treatments. Finally, wood has the best thermal insulation qualities of any mainstream construction material. Therefore, it is a fantastic product to build with and will provide long-term environmental benefits. In the same way that customers are increasingly concerned with the environmental repercussions of the building material they choose, a product’s sustainability is another important consideration. Wood is a sustainable product; it is renewable, reusable and recyclable. However, it is important that we are responsible when it comes to the growth and production of timber, as deforestation is an important environmental issue. Richmond Oak always use Class 1, FSC certified fully seasoned European White Oak. Wood sourced from an FSC certified forest is managed responsibly, ensuring consumers can rest assured of a sustainable, renewable product. There’s a reason builders often opt for wood when constructing foundations and support beams: it is an incredibly strong and durable material. Wood has a very long lifetime (many oak buildings built hundreds of years ago are still standing today) and has been proven to withstand the elements when built securely. Similarly, an oak conservatory is very easy to maintain. It requires very little cleaning and is sure to age beautifully. Whilst a uPVC conservatory has a life expectancy of approximately 30 years, an oak conservatory can last for up to 100 years, making it a much more cost-effective choice. Another massive benefit of a timber conservatory is its aesthetic appeal. If you’re adding a conservatory to your home you ultimately want it to be something that looks great - and when it’s made from oak that’s something you can be sure of. Wood is striking, stylish and will instantly add character to your home. A hardwood conservatory often looks like it has always been a part of the house and, thanks to oak’s texture, colour and quality, it provides an elegant and timeless finish. More usable space within your home is sure to add value to your property - whether your conservatory is a small reading room or a large, property-wide kitchen extension. Similarly, due to oak’s visual appeal, durability and life expectancy, a timber conservatory will be much more attractive to a prospective buyer. 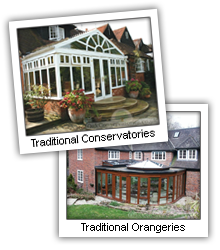 Here at Richmond Oak Conservatories, we design and install stunning oak conservatories, orangeries and garden rooms. Our hardwood extensions are completely bespoke, highly durable and built to the highest quality. 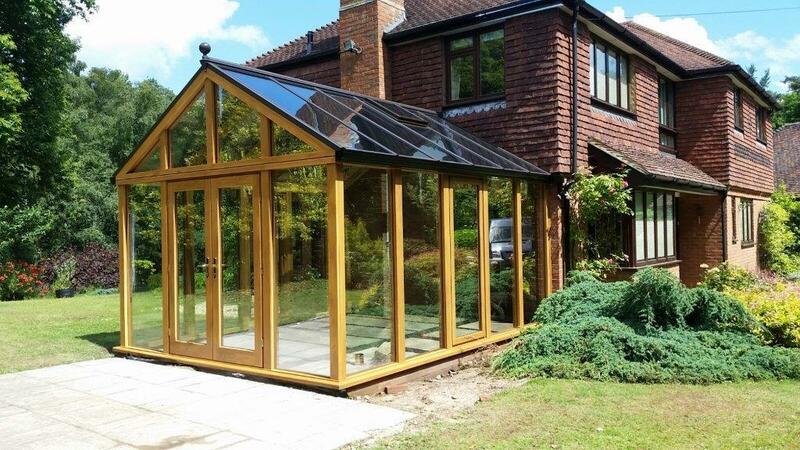 So if you’d like to reap the benefits of an oak conservatory, get in touch with the experts at Richmond Oak Conservatories today. To help you with your project decisions regarding your bespoke hardwood conservatory or orangery, we have put together the new Richmond Oak Brochure. "The first step to your dream living space starts here... add more space, more light, more 'Wow' to your property & home!" Your information will be used for the purposes of your enquiry and will never be sold, shared or traded with any 3rd parties. Please check out our Privacy Notice. Can a Timber Extension Really Have a Positive Impact on Health and Well-Being? What Does A Hardwood Conservatory Cost? Why you would choose an oak framed extension for additional living space? How much does a wood orangery cost? Won’t it be too hot/cold with that much glass? 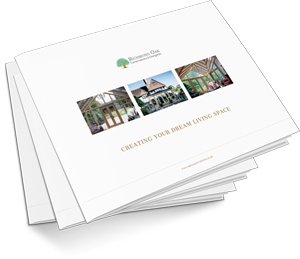 "Creating Your Dream Living Space"
The first step to your dream living space starts here... add more space, more light, more 'Wow' to your property & home! Submit your details below and we'll rush our Brochure to your email address. By submitting this form your information will be used to send you your Brochure and additional, relevant information from time to time. You may unsubscribe at anytime. Your information will never be sold, shared or traded with any 3rd parties. Please check out our Privacy Notice.